Samsung and Caesars Entertainment have teamed up to place 4,500 Samsung TecTiles throughout Caesar's eight properties in Las Vegas. The TecTiles normally work with NFC enabled handsets to make your phone do certain pre-set events, like change the settings. In this case, Caesars and Samsung have arranged to have certain information appear on your handset when it is tapped against the TecTiles. The TecTiles placed in the casino and attached to the slot machines will provide a tutorial, guidelines and statistics. You will find the TecTiles affixed to the slot machines at Caesars Palace, Harrah’s Las Vegas, Paris Las Vegas and Planet Hollywood Resort & Casino. At some of the hotels, like Caesars Palace, Flamingo Las Vegas, Paris and Planet Hollywood, the TecTiles can show performer videos, showtimes, links to buy tickets and postshow specials. Fine dining is abundant in Las Vegas (and no, we're not talking about the $4.99 all-you-can-eat buffet). The TecTiles will allow you to see menus and average check prices at dining spots in Caesars Palace and Paris. Those names include Mesa Grill, Gordon Ramsay Steak, Rao’s and Restaurant Guy Savoy. The TecTiles also will also show information about the stores inside the hotel and let you buy tickets to attractions like the Eiffel Tower ride at Paris. TecTile boards at the entrance to Caesar's Las Vegas hotels will provide the user with a top ten list of events at hotels like Caesars Palace, Rio Las Vegas, Bally’s Las Vegas, Paris,Planet Hollywood, Flamingo, and The Quad Resort & Casino. 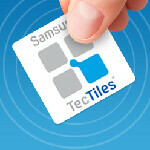 With CES 2013 in town, it is a great time for Samsung and Caesar's to show what NFC can do, and of course, any NFC enabled device will work with the TecTiles. LAS VEGAS — January 7, 2013 — Samsung Telecommunications America, LLC (Samsung Mobile) – the No.1 mobile phone provider in the United States and a subsidiary of Samsung Electronics Co., Ltd., the No. 1 smartphone provider worldwide1 – has teamed up with Caesars Entertainment to install more than 4,500 interactive Samsung TecTile™ NFC tags throughout eight of its world-renowned hotels and casinos in Las Vegas. Casino Floor – TecTiles attached to slot machines give users inside information like game tutorials, player guidelines, win/loss statistics and more. Tap a smartphone to TecTiles located on slot machines at Caesars Palace, Harrah’s Las Vegas, Paris Las Vegas and Planet Hollywood Resort & Casino. Shows, Clubs & Entertainment –Consumers can also view show times, performer videos, links to buy tickets and access exclusive post-show offers at some of the top-rated Las Vegas shows atCaesars Palace, Flamingo Las Vegas, Paris and Planet Hollywood. Fine Dining –Make reservations, view restaurant menus and information, cuisine overviews, average check prices and more at Caesars Palace and Paris. Read about restaurant accolades, view videos and get tips on what to order at some of the most popular Las Vegas restaurants, such as Mesa Grill, Gordon Ramsay Steak, Rao’s and Restaurant Guy Savoy. Shopping & Attractions – Learn fun facts about the tropical Wildlife Habitat at Flamingo, buy tickets for Eiffel Tower: The Ride at Paris or locate store listings, select deals and maps of the expansive shopping areas at Planet Hollywood and Caesars Palace. General Information – Easily access social networks to check-in on foursquare® or tweet at each property. Locate TecTile boards and posters at main entrances and a variety of other locations to discover the “Top 10” things to do each week at all of the Caesars Entertainment’s Las Vegas properties, including the iconic Caesars Palace, Rio Las Vegas, Bally’s Las Vegas, Paris,Planet Hollywood, Flamingo, and the newly remodeled and rebranded The Quad Resort & Casino. TecTile boards throughout The Quad will introduce visitors to the new brand and give an inside look at the property’s new look and feel. 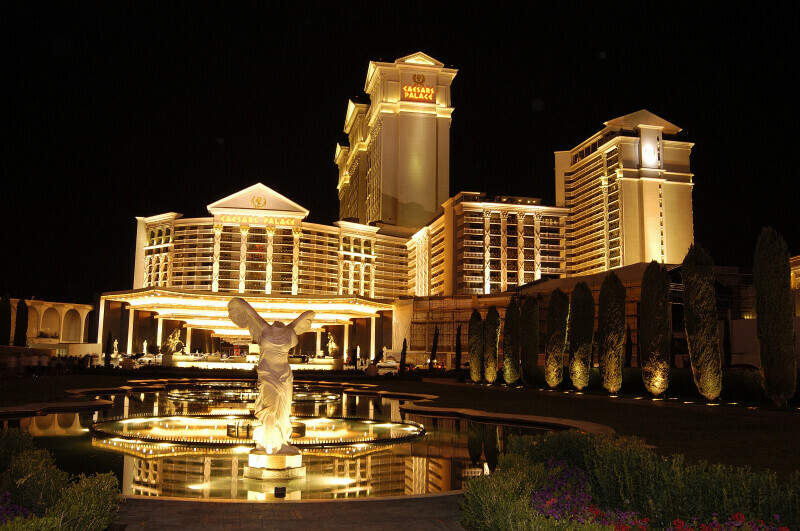 Samsung TecTiles will be fully installed at eight Caesars Entertainment hotel and casino properties on January 8, the first day of the 2013 Consumer Electronics Show (CES). For more information about Samsung TecTiles, go to www.samsung.com/us/tectiles. 1 Samsung Mobile is the No. 1 mobile phone provider in the United States based upon reported shipment data, according to Strategy Analytics, North America Handset Vendor Marketshare, Q3 2012. Samsung Electronics Company is the No. 1 smartphone provider worldwide based upon reported shipment data, according to Strategy Analytics Global Smartphone Vendor Market Share by Region: Q3 2012. © Samsung Telecommunications America, LLC. Samsung, Galaxy S, Galaxy Note, Blaze, Galaxy Exhilarate, Relay, Galaxy Victory, and TecTile are trademarks of Samsung Electronics Co., Ltd. Android is a trademark of Google Inc. Other company names, product names and marks mentioned herein are property of their respective owners and may be trademarks or registered trademarks. Nice! I still have my Tectiles that I need to start using.